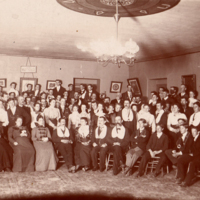 The oldest fraternal organization in town was Iola Lodge, No. 91, International (Independent) Order of Good Templars. 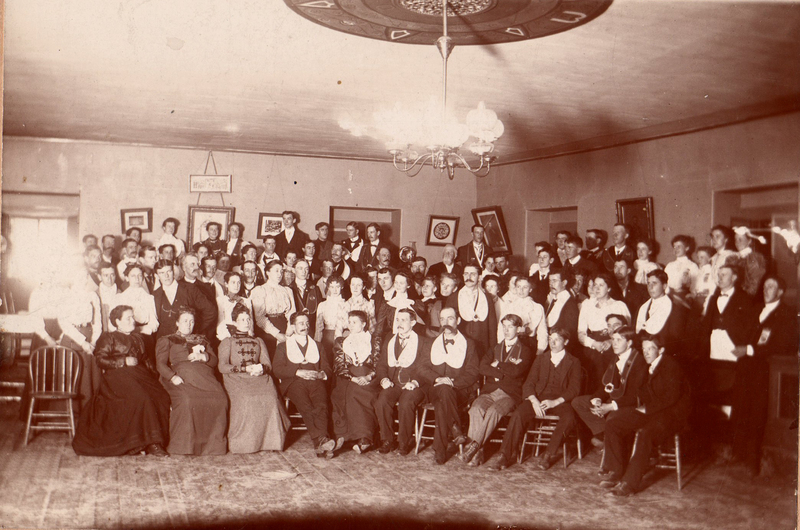 Organized in Assabet Village on February 19, 1866 with 50 charter members. Its purpose was the promotion of total abstinence from the use of alcoholic beverages and the universal prohibition of the mfrg. and sale of such products. The Lodge dissolved in 1907. The photo is most likely taken in the Darling Block, corner of Nason and Summer Streets. “"Good Templars" - 1900 Iola Lodge, No. 91, International Order of Good Templars,” Maynard Historical Society Archives, accessed April 25, 2019, http://collection.maynardhistory.org/items/show/3062.